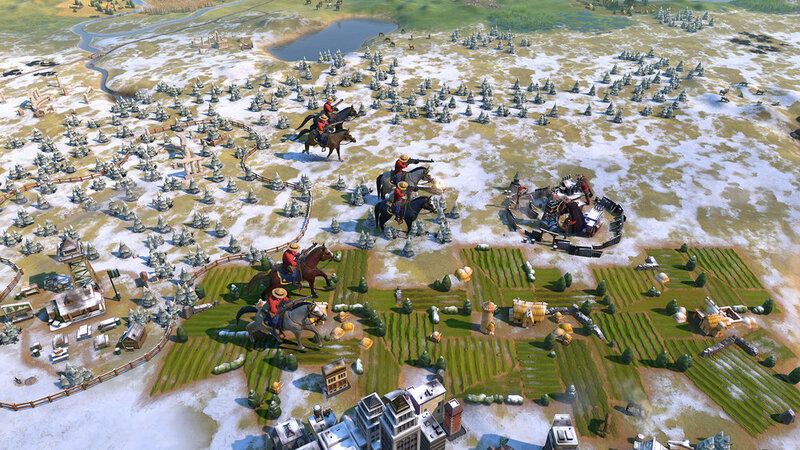 Canadian Civ fans rejoice as the upcoming Civilization VI: Gathering Storm expansion finally adds Canada as a nation to play as. If you select Canada as your nation of choice, you will play as great Canadian Prime Minister Wilfred Laurier, but you also get many interesting new perks and abilities that are truly Canadian. The first gameplay item to note when selecting Canada is you cannot declare surprise war on any opponents or City States. But your opponents are not able to declare a surprise war on you either. Canada also gains extra diplomatic favour from completing emergencies or scored competitions. The unique unit of choice for Canada is the Mountie. Mounties are not only able to fight against other units, but they can establish national parks within your country. When fighting against opponents Mounties gain combat bonuses when fighting near a national park. When it comes to a unique city building its none other than the ice hockey rink, you can add one of these to each city which grants additional appeal, amenity, and bonus culture for each adjacent snow, snow hills, tundra, and tundra hills tiles. Keeping with the snow-related tiles, Canada has the unique ability to build farms on tundra terrain. You can also purchase snow and tundra tiles for half the cost of standard tiles. Any resources gathered from those snow and tundra tiles also yield twice as many resources as regular tiles. Civilization VI: gathering Storm is launching for Windows PC on February 14th, 2019 for a price of $39.99 USD.